To help learners foster collaboration and communication practices, Massive Open Online Courses (MOOCs) have begun to incorporate a collaborative team-based learning component. However, most researchers agree that simply placing students in small groups does not guarantee that learning will occur. In previous work, team formation in MOOCs has been shown to occur through personal messaging early in a course and is typically based on demographics. Since MOOC students have diverse backgrounds and motivations, self-selected or randomly assigned MOOC teams show limited success. Being part of an ineffective or dysfunctional team may be inferior to independent study in promoting learning, which can lead to frustration. This talk reports on dissertation research that addresses these issues by leraging a construct from the learning sciences called Transactivity. A transactive discussion is one where participants elaborate, build on, question or argue against previously presented ideas. It has long been established that transactive discussion is an important process that correlates with students' increased learning, and results in collaborative knowledge integration. The center piece of this dissertation is a process for introducing online students into teams for effective group work. The key idea is that students should have the opportunity to interact meaningfully with the community before they are assigned to teams. That discussion not only provides evidence of which students would work well together, but also provides students with significant insight into alternative task-relevant perspectives prior to collaboration. A validation study demonstrates that this teaming procedure increases team performance at a knowledge integration task by at least 3 standard deviations while also increasing the prevalence of positive collaborative processes during collaboration. 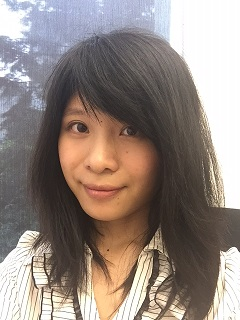 Miaomiao Wen is a Research Data Analyst at Coursera. She recently completed her PhD at Carnegie Mellon University. In addition to her extensive work on MOOCs, she has also done research in speech processing and information extraction in online medical support communities.